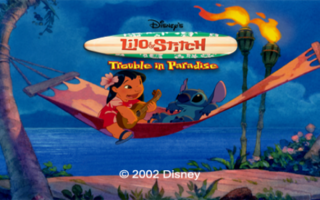 Lilo & Stitch meets Crash Bandicoot in Disney's Lilo & Stitch: Trouble in Paradise. Oddly, the American release of the PlayStation version dropped the subtitle. TEST.TIM is the word "TEST" written very crudely. 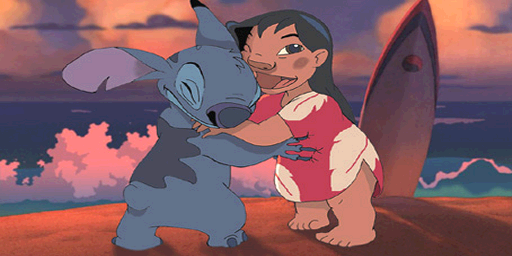 LILO1.TIM is an image of Lilo and Stitch hugging on an edited screencap of Lahui Beach in the film (specifically, at the moment where David sees Lilo, Stitch, and Nani wipe out from Jumba grabbing Stitch). LILOICON.TIM is a very tiny icon saying "LILO". This page was last modified on 21 February 2019, at 02:55.